And Other Screenwritings (Pulpless.Com, 1999). I got the idea for “Profile in Silver” while driving to a lunch meeting with Robert Jaffe of Vista Films, the production company that was attempting to find a studio to finance All the King’s Horses. Over lunch at Hamburger Hamlet in late 1983, I pitched Rob the idea as a feature and he loved it, but aside from sharing my notes with him, nothing concrete ever came of the pitch. 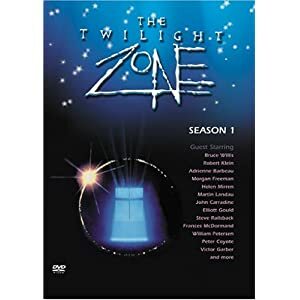 I also told the idea to my friend Alan Brennert and, two years later when Alan was on staff as executive story consulant for the revived Twilight Zone, and I was living in New Jersey, Alan phoned me and asked me if I could write my script for it at under an hour’s length for the show. I said yes and Alan assigned me to write a story outline. For the first time, I was officially employed as a Hollywood screenwriter. But I was still living 3,000 miles away, and that was a significant element in everything that followed. “Profile in Silver” was controversial, inasmuch as nobody at that time had ever used the JFK assassination as a plot element in a TV show, or portrayed President Kennedy and his family in a fictional context. All previous portrayals of John F. Kennedy had stayed extremely close to real life, from PT-109 to The Missiles of October. How things have changed now! Oliver Stone’s JFK portrayed the assassination from the point of view of New Orleans District Attorney, Jim Garrison, who believed in a conspiracy. Quantum Leap put us inside the body of Lee Harvey Oswald, and the series lead character, Sam Beckett, changes history by preventing Jackie Kennedy from being assassinated, also. The X-Files has the Cigarette Smoking Man assassinating JFK from an underground sewer and setting up Oswald as a patsy. And NBC’s new series Dark Skies has JFK assassinated because he’s been told the truth behind the UFO landing at Roswell. I sometimes wonder whether any of these projects could have made it past industry executives if “Profile in Silver” hadn’t been on CBS prime-time first. Alan was concerned enough with the JFK element that I wrote two versions of the story, one with real names and history, and another version with what Alan and I called a “Greek Tycoon” approach, where the events and names were fictitious but close enough to reality that everyone would know what we were doing anyway. The Greek Tycoon had been a recent movie which had fictionalized Jackie’s marriage to Aristotle Onassis using just that approach. Carla Singer turned that down, also. I was the only writer who had had any stories rejected, which caused Alan and Harlan Ellison, who was on the show as a creative consultant, to write several long memos to CBS complaining about being made to force the show into a straitjacket. Harlan wanted me to fight to keep the second assassin in, but there were other story elements I was more concerned about keeping in, most specifically, JFK’s discussion of political power with Professor Fitzgerald on Air Force One. Alan fought for, and kept in, the story elements I most cared about. I wrote two drafts of the script. I wrote the second draft after a telephone story conference with Alan, Harlan Ellison, story editor Rockne O’Bannon (who later wrote the movie Alien Nation), executive producer Phil DeGuere, and producer James Crocker. Then, because of a production deadline, and my being 3,000 miles away where I couldn’t meet their production needs, Alan did the final polish himself. The main change that Alan introduced in his polish was taking the futuristic scenes from the beginning of my second draft and placing them in 1963. This was done because of the budget limitations on attempting to portray the Harvard campus 200 years in the future. I missed the parallel frame of having the story begin and end in the same future classroom, but Alan preserved a lot of that by beginning the story in a similar Harvard classroom in 1963, with Fitzgerald lecturing on inflation during the American revolution. Alan and I are both American Revolution history buffs, and Alan had pleasantly surprised me by taking a conversation the two of us had several weeks earlier and using my half of the conversation, almost verbatim, as Fitzgerald’s lecture to his 1963 students. Alan also felt that having Fitzgerald be too specific about the future in the Oval Office conversation with JFK was too distracting from the emotional content of the scene, so he cut that dialogue. It made the script less explicit about the author’s political intent in writing the story, but dramatically stronger. A word to budding writers: you have to be a top-level producer to have the control over your own screenwriting that a novelist takes for granted. I flew to Los Angeles for the two-weeks filming of “Profile in Silver,” and the experience was wonderful thanks initially both to the Twilight Zone production staff and director, John Hancock. 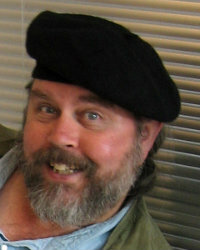 John’s major work has been as a stage and feature film director–Bang the Drum Slowly, Weeds, and Prancer among them. John didn’t sit down more than a couple of minutes for the entire shoot. John invited me to stand as close to him as I wanted to during the entire shoot, and frequently consulted me about my opinion, in essence giving me authorial input into the final form of the production. John also invited me to discuss my interpretations on the scenes and characters with the actors. I ran lines with Barbara Baxley, who had been cast as Dr. Kate Wang just 24-hours before her first scene, and hadn’t yet had time to understand the time-travel elements of the story. Additionally, the character had been written for an Asian actress, but due to an error in the CBS casting memo describing the part, the talent agency representing most Asian actors had never sent over any Asian actresses in the right age-range to read for it. I improvised dialogue implying that “Wang” was a married name and Barbara added the words “a phrase my husband taught me” to cover the change in her ethnicity. I also got a chance to discuss character elements both with Lane Smith, who played Professor Fitzgerald, and Andrew Robinson, who played JFK. One of the first scenes filmed was the scene in Fitzgerald’s office when Kate Wang materializes, and they discuss Fitzgerald’s upcoming trip to Dallas. Lane was having trouble with his extensive speeches in that scene because Lane has a natural Southern accent which he was having to change to a Boston accent for the role. I suggested to him that he let his natural accent come out in the office scene, because it would be exactly like an actor coming out of a role for Fitzgerald to talk with someone from his own time. Lane took my suggestion, with John Hancock’s approval. I also got a chance to discuss my story intents with Andy Robinson before the scene between JFK and Professor Fitzgerald on Air Force One that set-up the entire emotional context of the story. Through interpretation, Andy was able to restore much of the meaning of my earlier drafts, even with JFK dialogue that was no longer explicitly in the Oval Office scene. Many people have wondered why Andy Robinson, who had been best known as the bad guy Scorpio in the Clint Eastwood movie Dirty Harry, had been cast as JFK. Andy told me that he had played JFK, previously, replacing William Devane in the Broadway production of the satirical anti-war play, MacBird. 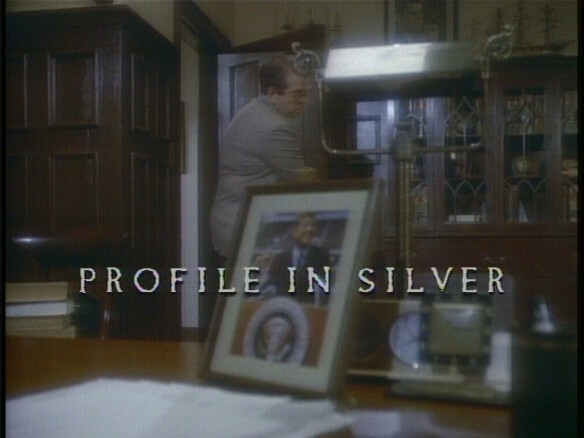 There are several milestones in the production of “Profile in Silver” that are worth mentioning. The first is that I wrote into both drafts of my script JFK delivering the speech he was scheduled to give on November 22nd, 1963 at the Dallas Trade Mart. As filmed, we hear the speech in the background on the car radio, as the secret service agent is accompanying Fitzgerald to Love Field to meet Kennedy. Andrew Robinson recorded the entire speech so that CBS sound editors could lay it in the background of that scene. To the best of my knowledge, it is the only time that the speech JFK never got to make has ever been delivered by anyone in a motion picture or theatrical production. Also noteworthy about that speech is that CBS’s broadcast standards department sent a note to the Twilight Zone production staff questioning the authenticity of the Dallas Trade Mart Speech. The note said the speech didn’t sound like authentic JFK. How time changes our perceptions! I had gotten the Trade Mart speech from a book of JFK speeches, and it’s what you would expect: a speech meant to kick off JFK’s bid for re-election in 1964. CBS broadcast standards didn’t have a single question about the authenticity of the speech I have JFK give at the end of “Profile,” in a Harvard classroom 200 years in the future. I made that speech up completely, but it was inspirational in tone — the way we remember JFK’s speeches through the lenses of time. I was also able to make use of a wonderful coincidence. November 22nd, 1963 was a Friday — and on the CBS schedule for that night, as usual in its 7:30 PM time slot, was the original Rod Serling Twilight Zone. All regularly scheduled programming for that night was pre empted by the JFK assassination in the universe we lived through — but in the universe in which my futuristic history professor prevents the assassination, CBS decides to end its news coverage of the day’s events just in time for that evening’s airing of The Twilight Zone. Later, in the Dallas hospital scene after the assassination, in the filmed version, you can see a white-coated doctor looking directly into the camera for a moment. That doctor is Yours Truly, who submitted to a 1963-style short haircut just before the scene was filmed, so I could pull an Alfred Hitchcock. I was not overacting. John Hancock told me to look directly into the camera, and I was just doing what the Director told me. As edited by John Hancock for broadcast, “Profile in Silver” came in at 26 minutes and 52 seconds. Scenes are short and cut quickly, so it plays more like a theatrical motion picture than an episode of a TV series. It took ten days to film and cost about $900,000 to produce — very expensive for a TV series in 1986. 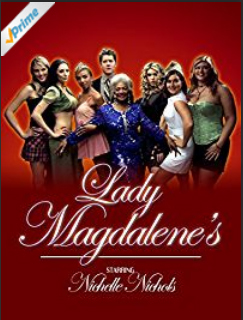 When commercials were inserted, it broke the half hour and came in at 35 minutes — which left the balance of the hour for “Button, Button,” starring Mare Winningham. column, and I was interviewed about the show by Gene Burns on a Boston radio talk show. Lane Smith, who plays Professor Fitzgerald, went on to play Nixon in a TV biography, the prosecutor in My Cousin Vinny, and a corrupt senator in the Eddie Murphy comedy The Distinguished Gentleman. Lane now plays Perry White on Lois & Clark. Andrew Robinson, who plays JFK, can now be seen (through a thick layer of theatrical appliances and makeup) as Garak, on Star Trek: Deep Space Nine. In a recent interview in Psychotronic Video, Andy Robinson spoke extensively about how much playing JFK in that episode meant to him, and how much he liked the script. Alan Brennert, who bought the script and polished it, later shared an Emmy as Supervising Producer for LA Law, and is now writing feature film scripts. And Carla Singer, who as the first CBS Executive in charge of the revived Twilight Zone turned down the story for “Profile in Silver”? When she finally saw it, she changed her mind, and decided it was one of the best episodes. CBS must have agreed: the hour containing “Profile in Silver” was the only one which they ran three times in prime time, before the show went into syndication, where it has run another dozen or so times in a half-hour edition. 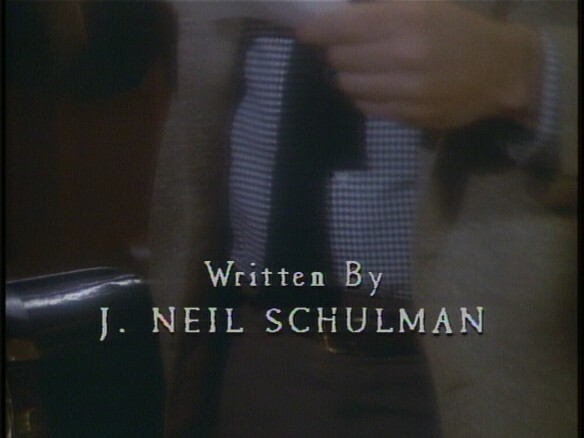 That third airing of “Profile in Silver” was seen by the veteran TV producer who gave Rod Serling his first job in television. He thought my script was one of the few that carried the spirit of the original Twlight Zone series, and that’s how I got the assignment for The Mars Story. I have written two novels, short stories, and articles published in major magazines and newspapers. But the power of television is such that even a single episode of a series show that never got more than mediocre ratings after the first week or so has been seen by so many millions of people that it’s probably the only thing of mine that most people have ever seen. The episode has been syndicated worldwide and sold on videotape overseas. I was in Paris just a few weeks before it was broadcast there. and rev the engine, the car shoots off vertically. catching up on sleep or secretly finishing work for their next class. nervous habit, Fitzgerald is flipping a silver coin in his hand. touch of arrogance. Fitzgerald recognises him. to you, John F. Kennedy was a Harvard man. the limousine tearing out into traffic. There have always been unanswered questions. 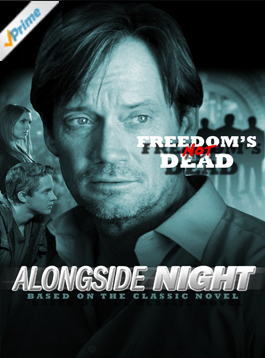 Vietnam, Robert Kennedy, Martin Luther King? Until now, we could only speculate. Fitzgerald pauses, then resumes flipping his coin nervously. come through. I leave for the past tonight. active at night, its sign also glowing in the darkness. sitting at a control console near the Platform, it is vastly empty. WANG, a distinguished, Chinese woman in 2163 garb. the wallet. The wristwatch is your computer. the Wristwatch and the Belt. That’s a very old joke. the ring it will home back here directly. We’ve set it on five minutes failsafe. Fitzgerald the “Movie” Camera. He straps it over his shoulder. disk, but you won’t need more. Ready? I’ve been ready for the last six years. Fitzgerald’s only reaction is to frown and step onto the Platform. gathered; the Platform starts to PULSE in changing colors. Dr. Wang, I read a few grams unexpected mass. A family keepsake–a good luck charm. HALF DOLLAR. Dr. Wang walks up to the platform and examines it. It’s dated one year after your destination. He puts the COIN back into his jacket. historian. Stick to your job. She steps back to console and nods to the Chief Technician. The Chief Technician nods to the Second Technician who pulls a lever. On the Platform, Dr. Fitzgerald flashes bright red. … We have temporal coherence. punching a hole in Time. just as the Presidential motorcade is approaching. A TEXAN does a double-take as Fitzgerald pops in next to him. Where in Sam Hill did you come from? back to watching the approaching motorcade. sees (our actor) PRESIDENT JOHN F. KENNEDY. SECRET SERVICE AGENT KELLERMAN is on Kennedy’s right. limo, on Fitzgerald’s side of the street. gunman just as he FIRES. “Policeman” FIRES, to SEE Fitzgerald jump him. away from Kennedy’s head and impacts harmlessly on the limo. At the SOUND of the two GUNSHOTS. as he throws himself onto JFK and Jackie. him toward the President’s limo; the other Agent holds the assassin. everyone realizes that Governor Connally has been shot. as it pulls out of the motorcade and accelerates. jacket, take out the Wallet, and hand a 1963 Harvard “Faculty I.D. Governor will be there in four minutes. Mr. Kingman, who is this man? as they look at each other for the first time. as he realizes the full impact of what he has done. limousine, but Jackie stops him. You can’t do any good in there, Jack. Mart. I’ll speak as scheduled. that history had never intended him to give. will it be, now that history has been changed? the Presidential entourage are walking out. Mr. Vice President, we’ve got more problems! Tornadoes have sprung up all around the state! Better get the choppers ready, son. He knows it’s not fate that’s doing this. Johnson rushes out. Kennedy turns to Fitzgerald. you free to be my guest at the White House? as strong rain and winds surround AIR FORCE ONE while it takes off. As they wind their way through Texan cities. president, but with JFK still alive and well. Jackie is sitting forward, being interviewed by a reporter. Kennedy is sitting catercorner to Fitzgerald in a living room area. Both men have drinks. Agent Kingman is seated nearby, reading. AN AIDE comes up to the President. Mr. President, news out of Texas is bad. Parts of Dallas, San Antonio, Austin–gone. out of surgery in stable condition. desk before I go to bed tonight. Dallas police arrested a man named Lee Oswald. The Aide leaves. The historian from the future can’t resist asking. Kennedy takes a sip of his drink before answering. Like King Arthur, you had to win your office. It must gratify you, no? through the Cuban Missile Crisis in one piece. That would leave you unemployed. This job gives me few moments of great joy. Fitzgerald is puzzling out that remark when the Aide returns. you from Defense Secretary McNamara. starts to flip it in his hands. catching the coin. The coin rolls to where Agent Kingman is sitting. gaze; Fitzgerald looks away quickly. Kingman picks the coin up. as he sees what the coin is. this must be Fitzgerald’s property. passes his Aide and waves him over. Emergency Cabinet meeting for tonight at ten. get him back. Tell Bundy, Taylor, Sorensen. Fitzgerald, likewise speaking quietly but with urgency. Completely. My specialty is this era. Fitzgerald sees Kennedy’s confusion and corrects himself quickly. I mean this area. Why do you ask? kill every American in Berlin. But Khrushchev never would have done that! Premier Khrushchev was assassinated today. it closes. Can you spare me? to meet them: six-year-old CAROLINE and three-year-old JOHN, JR.
as we see it being held in a man’s hand. as Agent Kingman is sitting across a desk from another TREASURY MAN. into his eye, then removes the loupe and leans back in his chair. standards. Whoever did this is a real artist. our Mint has in the works for next year? image of any living person. saw him save the President’s life? I checked during the President’s speech. Matched Fitzgerald’s prints with FBI. Clean. Checked Harvard, Internal Revenue, the Army. checked with CIA. They’ve never heard of him. didn’t tell us about one of their Spooks. names … he even looks like the President. Kingman and the T-Man both jump up, startled out of their wits. My God … an earthquake in Washington? Sir, are you all right? I’m fine! Find out if my kids are okay! and picks up the receiver again. The President hangs up just as the Aide returns. half her favorite bone china. Tell her to break out the paper plates! What the Devil is going on today? Computer, rubbing his back as if it’s been injured. time line. No major effects. within century. Probability: twelve percent. avoiding total war on this time-line? Why are you talking to your watch? me smart answers on everything. Yes, I’m sure he does. Caroline, dear! It’s time for your dinner! I’ll be right there, Mommy! never get any answers. See ya! all options for repairing original time-line. must occur as history originally recorded. hands exactly like JFK did. often in the news business. Hi, Ray. (Indicates chair) Take a load off. Thank you, sir, but I’m still on duty. I won’t tell on you. game the two of them have played before. Mr. President, I have some concerns about Dr.
has ever heard of him. It’s possible that Dr.
have your man save the President’s life. and hands it to Kennedy. Dr. Fitzgerald lost this on Air Force One. as he LOOKS at HIS OWN FACE IN PROFILE on the half dollar. Fitzgerald has his “camera” strapped over his shoulder. I was already on my way here, Mr. President. –This concludes this CBS News Special Report. Kennedy gestures Fitzgerald into the office. assassination conspiracy in Dallas today? assassination before I came to Dallas. Where did you get that coin? more attention to the classics. Fitzgerald walks over to the TV set. Twilight Zone.” Then he faces his ancestor directly. Fitzgerald picks up his camera. Kennedy and Kingman–and turns it on. in a Full-size, 3-D, Full-color and Sound Playback. as they watch this phenomenon, open-mouthed. vision of peace on Earth, goodwill toward men. Kingman holsters his pistol again. After a pause, he speaks first. Granted. For both of us, also. drinks. He hands one each to Kennedy and Fitzgerald. He has time to ponder his remark as the three men drink. you’d consider much-more bizarre than that. out near the orbit of Jupiter. It’s not even close to being Utopia, sir. safer to avoid princes with big swords. Dollar and he looks at it thoughtfully. I … didn’t know about that. Didn’t know? How could you not know? Kennedy looks at the Coin one more time. as Kennedy sees it and suddenly realizes what it means. it–a copy of his book, Profiles in Courage. You’re here, which proves that it wasn’t. his Harvard Signet Ring, extending it toward Kennedy. You’ll have to put this ring on. Agent Kingman, stay out of this! I couldn’t make myself leave them if I did. And they wouldn’t remember, would they? We’ve got to go back. on the open Presidential limousine, AS BEFORE. Additional limousines follow in the motorcade. The “Dallas Policeman” steps forward and pauses. taking aim with a rifle on the Presidential limousine. surreptitiously–with his pistol still holstered–raising his pistol. as he now has his still-holstered pistol aimed directly at JFK’s head. as WE SEE a FLASH OF RED LIGHT surrounding the limousine. as he jumps onto the Presidential limousine. The President’s been hit! I’m pulling out! as it pulls out of the motorcade and accelerates toward the hospital. as a gurney holds A SLAIN BODY COVERED BY A SHEET. on that body. This man is President John F.
THE SERENE FACE OF DR. JOSEPH K. FITZGERALD. lecture–in a wholly distinctive voice–to the HISTORY CLASS. as WE SEE that on it is A HARVARD SIGNET RING. and WE SEE that the MAN delivering the lecture is JOHN F. KENNEDY. in … The Twilight Zone. A fan has posted it onto YouTube. This entry was posted on June 15, 2010 at 2:52 am, and is filed under A Filmmaker on Film, Classic J Neil. Follow any responses to this post through RSS 2.0. You can leave a response or trackback from your own site.